Today, we’re still committed to providing value for money to students and professionals alike, and have extended our offering to a wide range of products and services for students as they move through university and into their professional lives – from gadget and home insurance, through to car and travel insurance. We also offer a variety of commercial products including business insurance, as well as products for niche markets such as charity and education. We use our expertise to help shape products and services to ensure our customers are protected against the unexpected, and prepared for the futures they expect.unity of getting noticed. 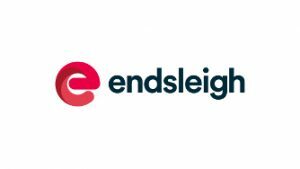 Endsleigh is a leading B2B provider for the Travel Industry in the United Kingdom. We have been providing effective and innovative insurance solutions specifically designed for tour operators, travel agents and accommodation providers for over 30 years. Our bespoke solutions enable our travel industry partners to: fulfill their duty of care to their customers, protect their business, enhance their product offering, and generate additional revenue streams.